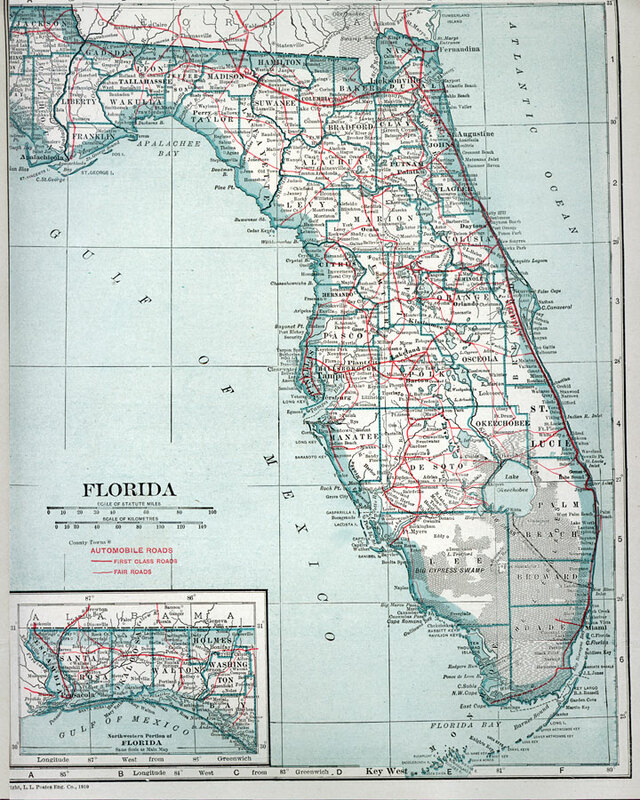 Description: Road map of Florida showing major cities with connecting first-class and fair roads current to 1919. The 1919 Florida license plate was black figures on an orange background. Speed limit: Reasonable and proper with a maximum speed limit of 25 mph. "Excess of 25 for one-eighth mile prima facie evidence of speed greater than reasonable and proper."